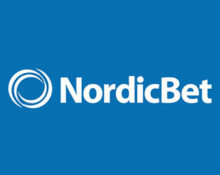 NordicBet – Chase Daily Jackpots! Play Red Tiger Games to hit a daily jackpot, every single day! 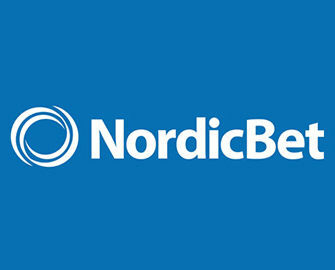 Take your chances at NordicBet to win some serious extra cash when you hit one of the four progressive jackpots, which are available on all slots in the exclusive Red Tiger Lobby. One jackpot will be triggered randomly before midnight, every single day, so the later it gets the higher the chance you have of winning. However, you won’t have to wait until midnight as it could fall at any time. A jackpot a day keeps the boredom away! Exciting times at NordicBet as they added four progressive jackpots to all of their Red Tiger Gaming slots. And even more exciting are the news that a jackpot is guaranteed to pay every single day. Spin at any bet size on any of the selected games in the “Daily Jackpots” section and you could be the winner of up to €100,000 in cash or even more when you hit the unlimited Mega Jackpot. To win one of the jackpots, a player needs to land 3 Jackpot symbols of the same jackpot on the reels in one spin. The chance of winning a jackpot increases in correlation with the bet value. Winnings are instantly paid out in cash, no wagering requirements. Larger jackpot wins might undergo extra checks and confirmation with the game provider before the amounts can be withdrawn. Launched in 2002, the website is operated by the acclaimed BML Group Ltd. under MGA Malta and UK Gambling Commission licenses. 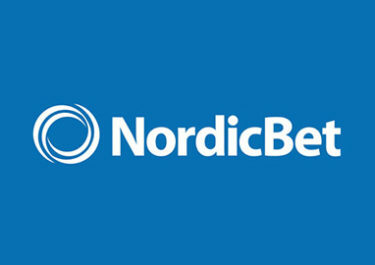 NordicBet offers Sportsbook, Live Bet, Casino, Live Casino, Virtual Sports and Poker with games available on desktop, mobile and tablet from top providers such as Netent, 2BY2 Gaming, BetDigital, Big Time Gaming, Blueprint Gaming, Core Gaming, Elk Studios, Fantasma Games, Foxium, Game360, Games Lab, Games Warehouse, IGT, Iron Dog Studios, iSoftbet, Jadestone, Leander Games, Lightning Box, MetaGU, Microgaming, NextGen Gaming, NYX Interactive, Old Skool Studios, Play’n GO, Push Gaming, Quickspin, Realistic Games, Red Tiger Gaming, Side City Studios, Sigma Gaming, Scientific Games, Stakelogic, Thunderkick, WMS and Yggdrasil. The Live Casino tables are powered by Evolution Gaming, Extreme Live Gaming and Netent Live.